So, here I am, taking time off to rest before my delivery. I have been advised to do this by my physicians, but it still feels rather unnatural. I am struggling with the ‘down-shifting’ required, as I think I function best when I have a lot of things to do. When life is slower, I am uncertain what I should be doing, because I am not always comfortable relaxing. It feels too much like I am wasting precious time. Then I judge myself, and I (usually mistakenly) think others are judging me too. It has been helpful to have my Department be fully supportive of this time off, as well as hearing the support from my husband, my family members and my friends. But I am still uncomfortable, despite all the reassurance. This experience has caused me to worry about my fellow pregnant colleagues. 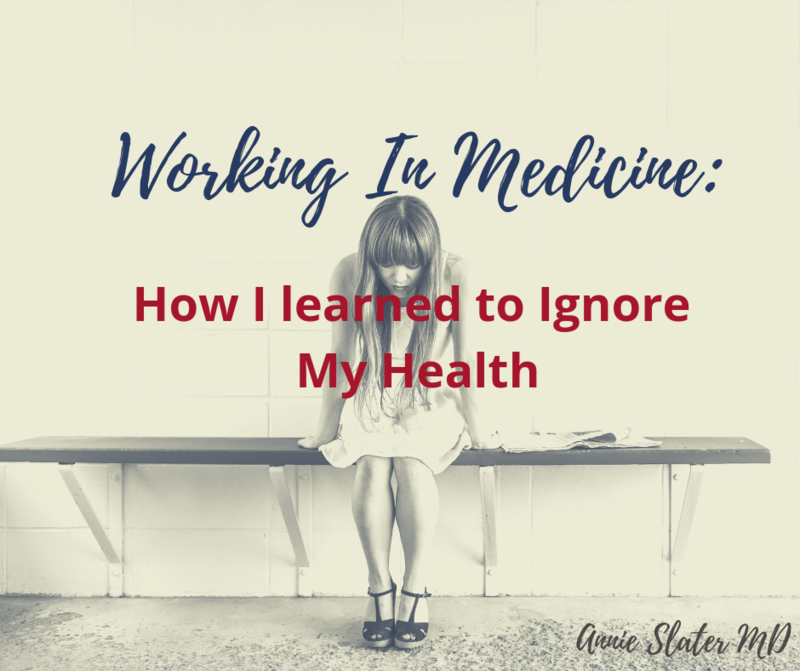 As I have grown in my own personal awareness, I have subsequently become concerned that my sisters in medicine are also struggling with trying to figure out not only how to put their families first, but also how to advocate for oneself when pregnant. I got lucky, I had a doctor tell me I couldn’t work anymore. How would I have managed a similar situation if I felt as though my activity and/or stress level was putting my pregnancy in jeopardy? What would I have done if I was in residency or fellowship, where there is much less buffer in the system to support time away? During my first pregnancy, I was 37 weeks when I started bleeding, so the plan was just to deliver the baby. I went to the hospital and didn’t leave. The thing that has haunted me is that I was on the schedule to work back to back overnights, single coverage the following two evenings. What would have happened if I had started bleeding the next day at 4 am instead of 7 pm? Would I have been able to stand up for myself and call in back up? I can honestly say I don’t know the answer to that question. Now, I think I could do it, but I am not sure I could have done it 2 years ago. The fact that it was even a question terrifies me. It makes me so much more sensitive about the environment we are in, and it also made me incredibly pro-active about my schedule this time around. In my current pregnancy, I had been working a lot. I was concerned about working too much close to my due date, so I scheduled myself to work almost 50% more in October and November, late second trimester, early third. The day I started bleeding, I had been taking care of my two-year old all day, took a nap before my shift, and then went in at 7 pm. I essentially worked from the time he got up at 6 am, until I got home from work at 230 am. That is a very long day, and those hours aren’t that different that hours I kept as a trainee. Is it possible that working contributed to my symptoms? We are taught to believe that we are not to blame when things like this happen. However, there is a part of me that thinks we are absolutely responsible for taking care of ourselves and our babies. Motherhood starts early, and it is important for us to realize when we don’t take care of ourselves, it is not an ideal environment for our fetus either. As a physician, data is very important. There is minimal actual data regarding physician work hours and pregnancy complications. Most of the studies have looked at resident physicians, and have found positive correlation between work hours and complications, from preterm labor, miscarriages, and other issues like high blood pressure. I personally had no knowledge of this data until I started looking into whether other women in my same situation were having similar experiences. In addition to doing a mini-literature search, I also knew that I could probably find other women physicians struggling with these concepts. Considering that training and school take up a large portion of our most fertile years, I knew there would be other women with their own stories. Their own challenging and heartbreaking moments of wanting to be strong and resilient physicians, yet working under conditions that make being pregnant really challenging. So I decided to reach out to the one group of women I knew could identify with my feelings. Physician Mom’s Group (PMG) is a group of momma physicians on Facebook that is currently 80K strong. It was started by Hala Sabry, DO, MBA, who practices emergency medicine. Dr. Sabry was looking to create a female physician community for support around fertility and raising children. It has grown tremendously since inception in 2014, and has also become a place where doctor moms talk about everything, from aggravating patients, favorite scrubs, what to buy your husband for Christmas, to personal health concerns, death, depression, and childbearing. While I was in the hospital, I asked the group if anyone had struggled with working while pregnant. I asked if anyone else felt a sense of needing to work to the point that they might be putting their health at risk, and what that was like. 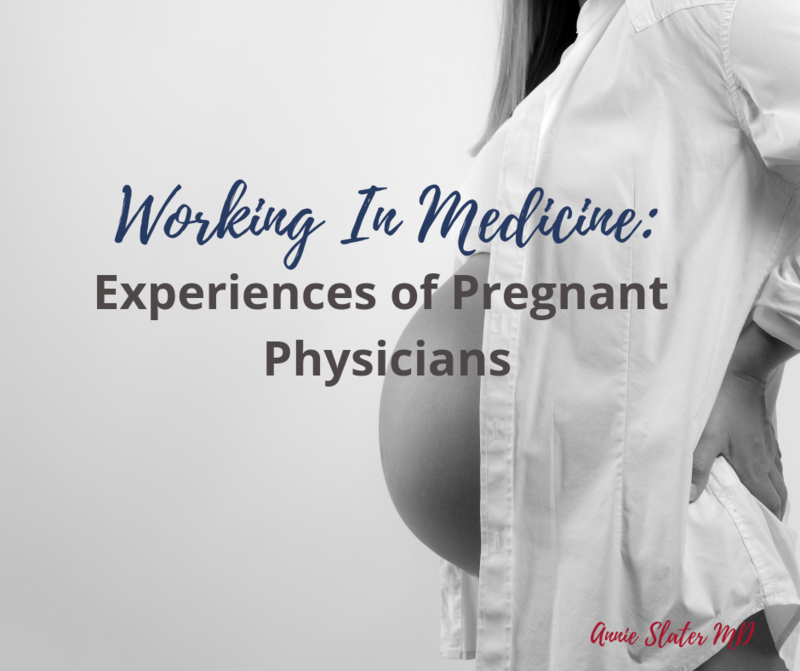 I received close to 100 responses, women of all stages of life recounting their stories of struggle as they navigated being a working physician with being pregnant. One fellow physician shared her already published account. Some of the stories were horrifically tragic, like losing 17 week old IVF twins to miscarriage after a previous loss at 10 weeks, or stories of women saying that they knew they were straining themselves and working too hard, only to miscarry a few days later. Other women shared they had to sit while rounding at the hospital so they didn’t pass out, to having to return to work post-birth as soon as two days. TWO DAYS. There were stories of women being asked to come in to work by their supervisors despite being told by their physicians not to, or women who were forced to continue working after their back-up refused to relieve them. Like anything, there were also stories of hospitals and training programs that were very accommodating to any requests to slow down, but most shared the opposite experience. What was striking was the number of stories women were sharing, as well as the general knowledge that we as a collective have early babies, small babies, poor fertility, and we miscarry more often. I don’t think I was ever told that information, which now adds an element of increased risk in my mind, for all of us choosing to have children. Most of the women who responded talked about the struggle between feeling the need to work with feeling the need to take care of themselves. Almost all shared that they wished they would have slowed down, advocated for themselves more, or had someone advocating for them. I identified with every woman that responded, and although most stories ended with healthy babies, there was palpable agony in the ones that did not. It was also common for many of these women to have had miscarriages and then grieve in silence. We as a community have a lot of work to do, and I feel that with advocacy and information, we can start to change the way we care for ourselves and our colleagues. Hopefully, we can pave the way for those coming behind us.